How busy can I make a watermarble to hide the bubbles? Hella! Haha. The base used Ciaté Boom Box, Essie Blanc and Julep Something Blue and then I added glitter in the form of OPI Lights of Emerald City and China Glaze Make a Spectacle. I then finished it off with some snowflake decals because go big or go home! Haha. Soooo pretty & wintery, I love it! Awwww those decals are too cute! 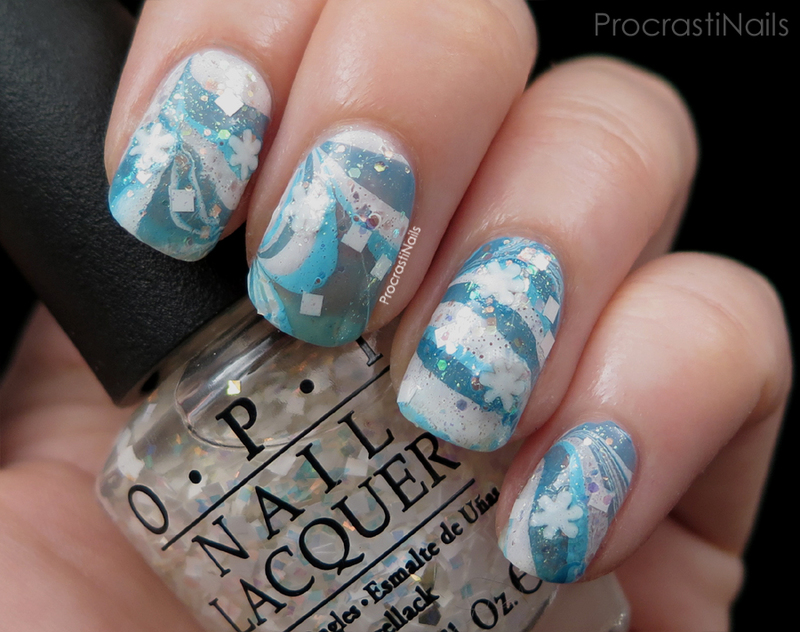 And this such a wintery mani, I love it! These turned out great. 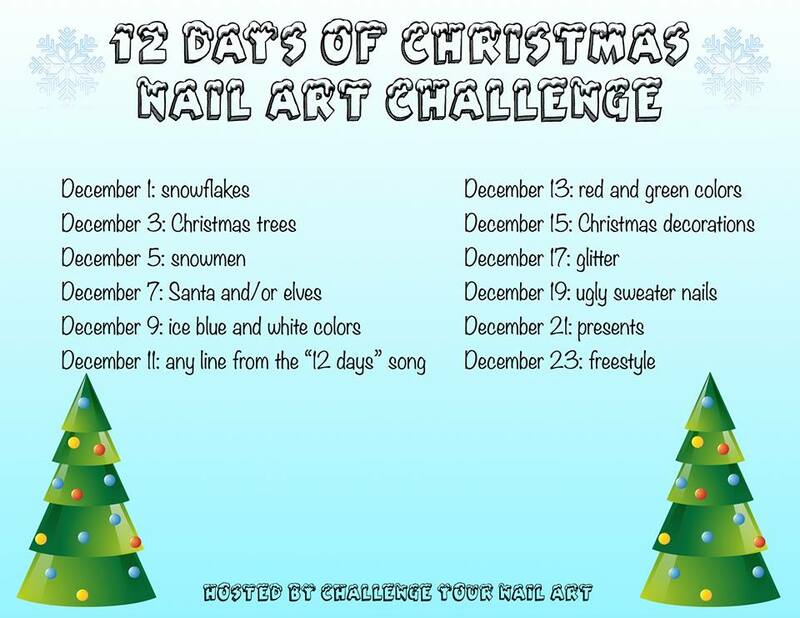 The glitter is a nice touch to the while water marble too. This is so lovely! I guess I really need to try these decals! It seems to work well! This is so pretty!! 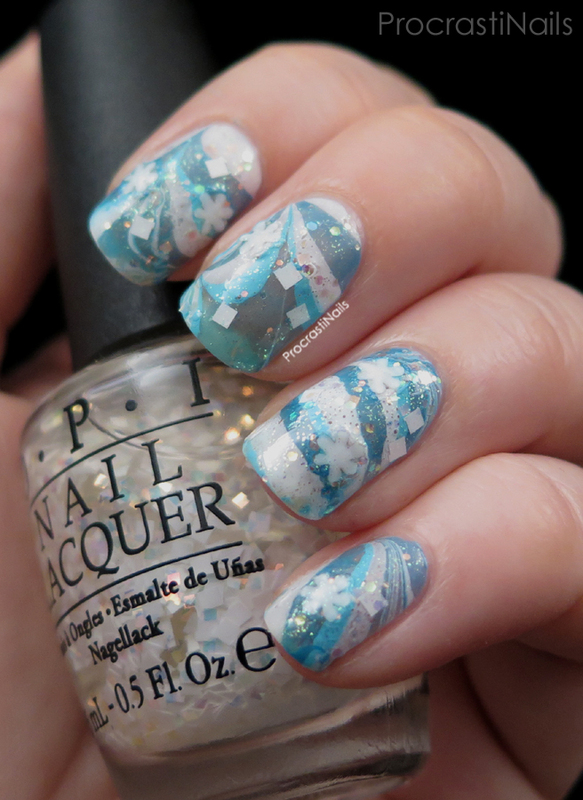 I love the glitter that you added over top!